Reservations: Not required but highly recommended in advance if you want a table. 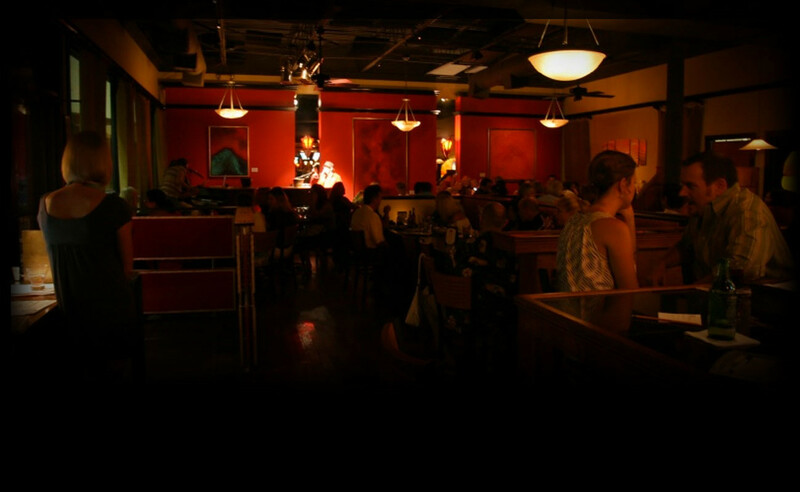 This club can be found in the very center of East Cobb, in a strip center called Market Plaza next to other restaurants (There's a Japanese joint and a Mediterranean grill spot). 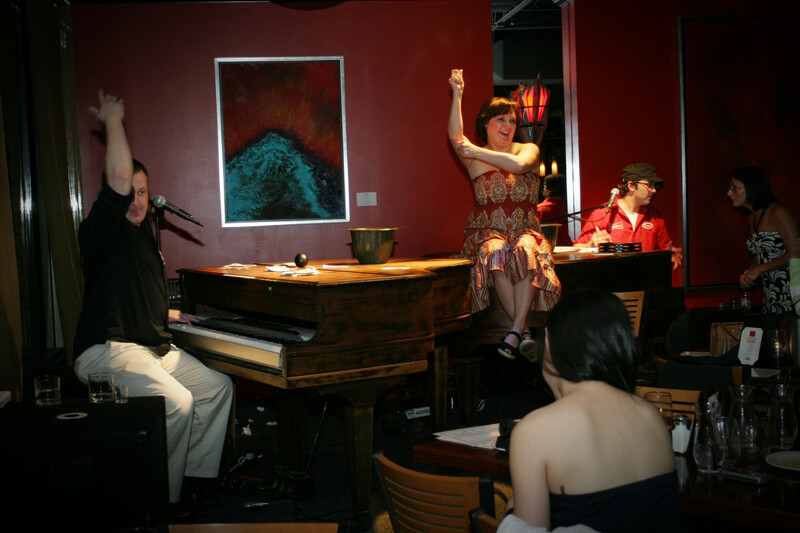 For over 4 years, Red Sky has been the Atlanta area's resident dueling piano show. 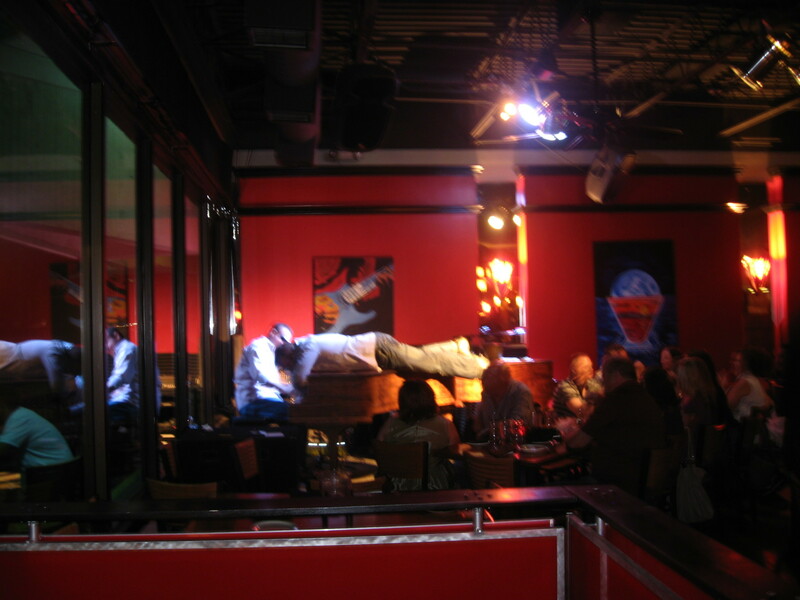 With two beautiful wood-grained finished baby grand pianos, (no drums), these pros rock out the Atlanta-area every Friday and Saturday night on the corner stage of this (very red) room. During the 3 hour show expect to hear everything from 80's hair band music (Journey, Bon Jovi, Styx) to more current millennials music including Bruno Mars and T. Swift. These guys also love southern rock, and modern country. As befitting a proper dueling piano show, this place is packed on the weekends, rowdy and just a wagon-full of fun. The restaurant is more or less American tapas (think Pizza, Ribs, Biscuit & Gravy) and is one of the more unique places for grub in town. The portions are well priced and surprisingly generous for taps-sized plates. Tapas run as cheap as $5.50 (fried plantains) up to $11 (Bacon and Scallops).